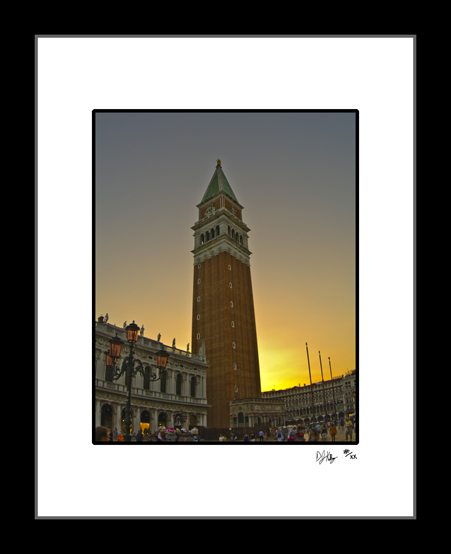 This fine art print captures Saint Marks Square in Venice, Italy during sunset. This picture shows Sunset, the Campanile, and top of the buildings that encircle the square. Piazza San Marco during the evening is the busiest place in Venice with places to eat, drink and listen to music all night.